This article is about people of Basque ancestry. For Basque people by birth, language or self-identification, see List of Basques. This is a list of famous people which are of Basque ancestry. For this purpose, people considered are those with ancestors –either fully or partially– from the extended Basque Country (including the Basque Autonomous Community, the French Basque Country and Navarre). people born outside the Basque Country of Basque ancestry that either speak Basque or self-identify as being of Basque stock. For notable Basques, please see List of Basques. Frenchy Bordagaray, Major League baseball player. Julio Olarticoechea, footballer. World cup winner. Ted Williams, former Major League baseball player. Zobel de Ayala family. Real estate, banking, and telecommunications. 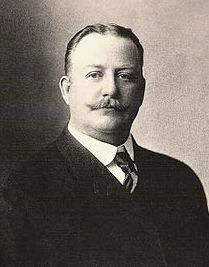 Jose Arechabala Aldama, founder of the original 'Havana Club' Rum Corporation of Cuba. Juan Esteban Aristizabal Vásquez (known as "Juanes"), Colombian singer. Rocio Igarzábal, Argentine singer, actress, model. José Iturbi, composer, conductor and pianist. Carlos Jean Arriaga, singer and DJ. Enrique Bunbury, Spanish singer, born in Zaragoza as Enrique Ortiz de Landazuri Izardui. Treavor Alvarado Abilez Yturriaga(Known s "DJ Trevi") DJ,composer. Doroteo Arango (Pancho Villa), revolutionary. David H. Bieter, mayor of Boise, Idaho. Juan María Bordaberry, President of Uruguay. Pete T. Cenarrusa, secretary of State of Idaho. Manuel Fraga Iribarne, minister of Franco's dictatorship and afterwards founder of the Spanish Partido Popular. John Garamendi, Lt. Governor of California. Emílio Garrastazu Médici, president of Brazil. Agustín de Iturbide, Emperor of Mexico. Octaviano Ambrosio Larrazolo, former Governor of New Mexico. Paul Laxalt, U.S. Governor and Senator. Zenón de Somodevilla y Bengoechea, Marquis of Ensenada, former Prime Minister of Spain. Rafael Urdaneta, last president of the Republic of Great Colombia. Ben Ysursa, Secretary of State of Idaho. Rosario Ybarra, Mexican human rights activist and presidential candidate. 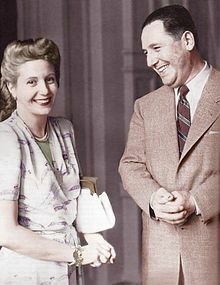 Máxima Zorreguieta, Argentinian Queen of the Netherlands. Marcelo de Azcárraga y Palmero, prime minister of Spain. Louis Daguerre, inventor of photography. ^ "Basque Studies Debut" (March/April 2007) Stanford Magazine. Retrieved 5 June 2010.